Business need to be more competitive today and better poised for growth when the economy begins to rebound. The practices outlined in the IT Infrastructure Library (ITIL) promote a well-functioning, collaborative IT environment enabling the business and IT to cope with the effects of todays economic stress. It is not necessary to do everything ITIL covers, and it is acceptable and often peferable for improvements to be made incrementally, based upon business priorities without overwhelling the organization. 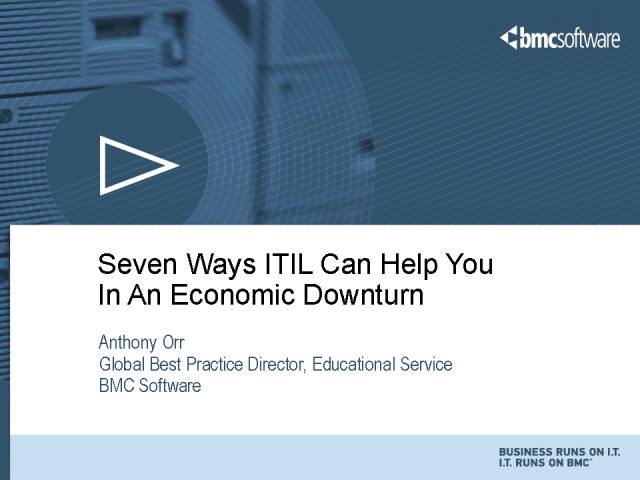 This webinar will give you seven ways an ITIL adoption can help your organization today.